You can book at The Gents Lounge Paisley Paisley online using our Book Now button located above. Select from a list of services offered, pick your favourite The Gents Lounge Paisley staff member and book from the dates available. it was established in 2008 buy gary mccluskey whom from second generation family buisness fulfilled his dreams of owning his own up market barber shop . Now having 4 members of staff garys plans to expand ! 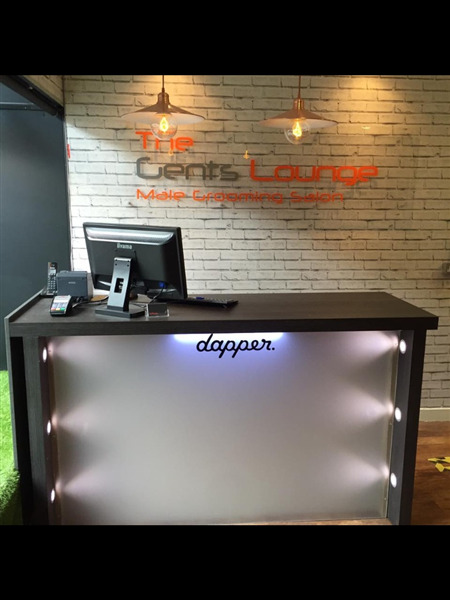 The gents lounge currently is something a bit diffrent in paisley offering all aspects of barbering and male grroming. The best men’s hair cut not only looks great but keeps its shape longer. Our mens hairdressers are experts in men’s hair and are versatile in their approach. They are sensitive to your specific wants and if you want advice, then they will guide you to a men’s hair cut that suits your personality, career and attitude to grooming. Our men’s stylists are recruited because they have both creativity and precision. Our philosophy is that a haircut can bring out and reflect a person’s unique personality. You will leave us with a haircut that totally suits you. At the same time is contemporary – and it doesn’t matter how old you are – you are never too old to be stylish. The overall ranking and star rating is based on customer reviews received in the last 6 months. All customers that paid for a service at The Gents Lounge Paisley were requested to complete an independent review by mylocalsalon (a minimum of 26 reviews are required within the last 6 months to receive a ranking).